Every now and then, I find myself out of step. The reminders are everywhere. Atop one waiting-room coffee table, there was even a reminder on the cover of Newsweek's June 26 issue. The feature article titillated with descriptions of joy toys — the status automobiles with which middle-aged Boomers are rewarding themselves for being rich at the right time of their lives. 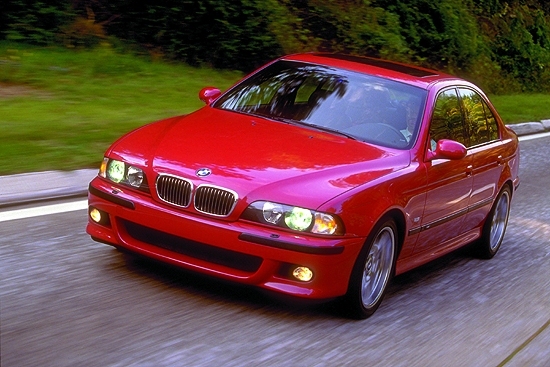 One 49-year-old doc was exulting over his BMW M5 sport sedan. "I wanted to buy it now," I seem to remember him saying, "because in another 10 years, I might not be able to drive a car like this." Might he be too infirm in the year 2010, at only 59 years of age? 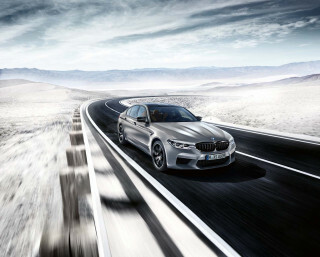 Too frightened of this luxury sedan's unprecedented 400 horsepower? Too broke? Too smart? I didn't read enough more to find out. My appointment, finally, was waiting on me. Then my childhood chum Petey cheered me at a recent soirée with news that he'd come this close to buying BMW's new-for-2000 M5. "The favorite car I've ever driven...in my life," he said with unalloyed conviction. It was no idle admission. Petey knows his horseflesh; his stable of sports and muscle cars is already well-stocked. Why hadn't he bought it, then? Was the $72,000 price tag still a bit intimidating even for a businessman whose success was already so materially obvious? Or might there perhaps be something the least bit unsettling about striving to "deserve" a purebred, no-compromise racecar only masquerading as a street-legal luxury sedan? These weren't the kind of nosy questions to pose even to a childhood friend. 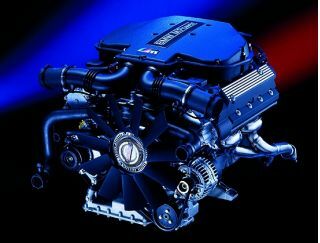 Some 400 glorious horsepower ripple from the M5’s 5.0-liter V-8. Nevertheless, I am reminded by the likes of this rich doc and my friend Petey that I am this close to being cashiered out of the ranks of the auto-buff fraternity. I, too, have driven the masterful BMW M5. I have appreciated — been awed, no less — by its ability to launch 0-to-60 in under five seconds. I have even marveled at the "legginess" of those six forward speeds in a manual gearbox — which is the only one available. Sixth gear seems to urge this car toward infinity; but, alas, a computer overlord limits top speed to just 155 mph. For all that, I still can't say it's my favorite-ever car. Even if I could — or would — afford the M5, I'm not the kind of fellow who'd buy one just for the chance to drive it "while I still can." Strip me of my buttons and stripes if you must, but I just don't see much point in BMW's masterpiece M5. Then again, how else is a closet contrarian supposed to feel? I don't invite cable or satellite television into my home. I don't eat dessert. I don't read Harry Potter books. If I am missing the point about this car, which succeeds better than any other, perhaps, at combining uncompromising performance with unstinting luxury, at least I am off-target on purpose: for me, the idea of sybaritic comfort at sensational speed is an oxymoron. CD player. I'm not concerned about dual-zone climate control with microfiltered outside air. I do like going very fast, mind you. Just not while I'm sitting in a high-tech, high-gloss romper room for the man — or woman, or child — who has everything. A functional dash, for sure — but all those buttons on the wheel are sure indicators of luxuriant excess. When I think of BMWs at speed, I think of the old poster on the wall of my childhood bedroom in the '70s. It's John Fitzpatrick, I think, flogging a bulked-up 3.5-liter BMW 3.0 CSL around Silverstone. You can see the giant wheel flares shivering from giddiness as this squat, leering demon of a racecar seems to leap through a high-speed corner, the front inside wheel lifting off the pavement like a warhorse rearing back. Look closer: There are ventilation holes where the headlights ought to be, a tube-frame roll cage where the velvety headliner and two-tone leather rear seats would be on an M5. In short, there are no amenities and plenty of speed. As it should be. Don't get me wrong. I'm no enemy of the Epicureans, either. I enjoy a Nappa hide sit-down as much as the next guy; I'm keen on monster stereos with lotsa wattage, lotsa speakers; I'm absolutely enthralled by gadgets like an onboard GPS navigator. But these are all civilities best enjoyed at or under posted speeds — in some cases while barely creeping along in stop-'n'-go traffic. And under these very conditions, it's nothing short of cruel and unusual punishment to rein back 400 ponies to a mere 35 mph and, maybe if you're lucky, to reach third gear. Now, my buddy Petey I'm not worried about. He knows what and how to drive, and I suspect he took a pass on the M5 because, deep down, he may even concur somewhat with me. It's the rich doc and his proxies out there that concern me. If these guys are worried that they might no longer be able to drive an M5 in 10 years, I propose that they probably shouldn't be driving one ever. But I still gotta share the road with 'em now. 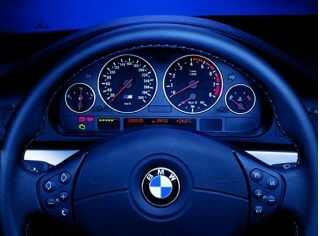 One of the best, if not the best, BMW ever sold! It gracefully morphs from a limo to a back roads dancer to a hot rod, depending on throttle position.